As a “long-lead” development, progress on Enefit’s Utah Project has come slowly and deliberately, but always in a forward direction. Given that, we’re pleased to hear that a major milestone is in sight: The Final Environmental Impact Statement on our proposed utility corridor across a sliver of federal land is expected to be published by the end of the year. This is the final step in what has been a ponderous five-year process (yes, five years!). The Utah BLM office sent the document to Washington, D.C., in October, and it’s in the process of being shuttled between more than 30 different agencies and offices on its way to approval and publication. While we’ve gotten our hopes up before, we’re assured the end is really in sight this time! 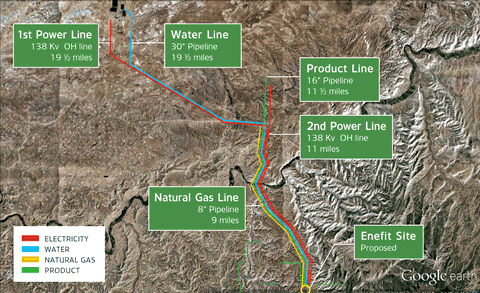 When finally approved, EAO will have the ability to eventually extend utilities needed for the Project from our private land across BLM property to connect into the existing regional utility network. The utility corridor is designed to include water and natural gas supply lines, 138-kilovolt electricity lines, road improvements, and an oil product pipeline.